When I was in college, I had to take a mandatory science class. As a communications major, the idea of being required to take a science class in order to move on with my life felt so unjust. Luckily, I heard about a professor who cooked in his chemistry classes, so I chose his over the others. Despite only barely passing, I learned for the first time that biology and chemistry are the keys to flavor and mouthfeel balance! The best food is made with a deep understanding of how food reacts to various degrees of manipulation and how flavors interact with each other. All these years later, that experience is still helpful. Get ready because we’re diving into nucleotides. If you’re a frequent reader, you’ve read a bunch about the science of umami, but there’s some nuance to be known: umami is one taste made up of a few layers of compounds. There’s glutamate, the amino acid we all know and love, but then there are the nucleotides inosinate and guanylate. 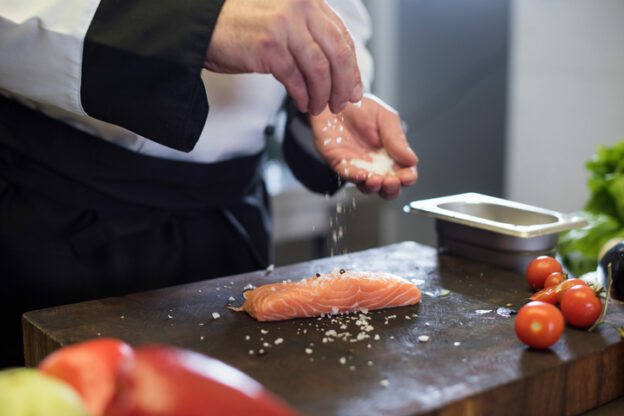 Together, inosinate and guanylate are known as an ingredient you may have seen before: “5’ ribonucleotide.” Although glutamate umami is wonderful by itself, the two nucleotides boost up the glutamate’s flavor! The combination of glutamate, inosinate and guanylate are only found in nature in tomatoes and nori seaweed. 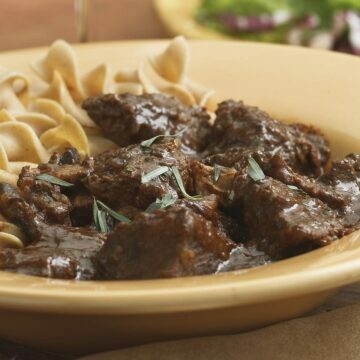 But the combination can be manufactured in a variety of dishes. The Japanese have mastered this three-part synergy through the regular use of dashi, nori and miso; umami is widely credited as the reason Tokyo has the most Michelin star restaurants of any city in the world. But, the other side of the world has some great ribonucleotide combinations too; ever hear of bacon and eggs? Identifying which foods have which type of umami flavors is not an exact science for the average person. But it doesn’t have to be (after all, you’re not attempting to pass a college chemistry course). But more often than not, layering a variety of known umami-packed foods will bring that eye-popping flavor to your dish… and when in doubt, sprinkle a bit of MSG. Keep reading for some rocking ribonucleotide recipes to get you started. 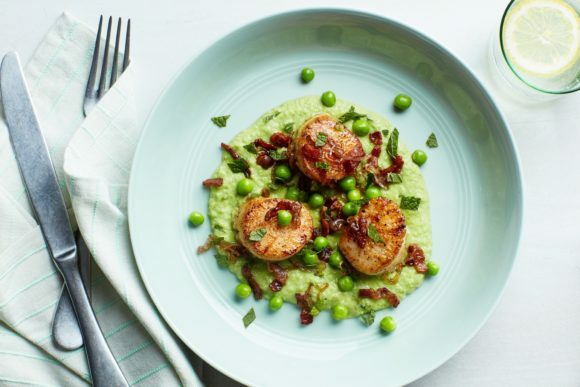 Scallops have nucleotides flavor and peas are loaded with glutamate. Next PostWhat are MSG Effects on Our Bodies?